Did the switch to Blu-ray make you see Red? Send in the cover art from your HD-DVD to Warner Brothers and receive a brand new Blu-ray disc of the exact same title FREE (plus shipping and handling). 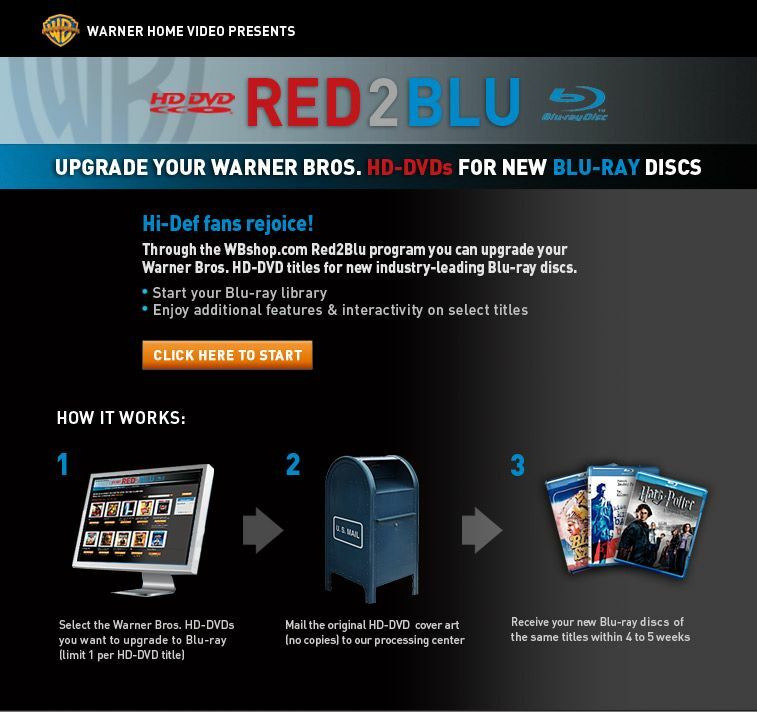 To learn more, visit WB's Official REd2Blu Page for all the details and let your mood ring go back to Blu!